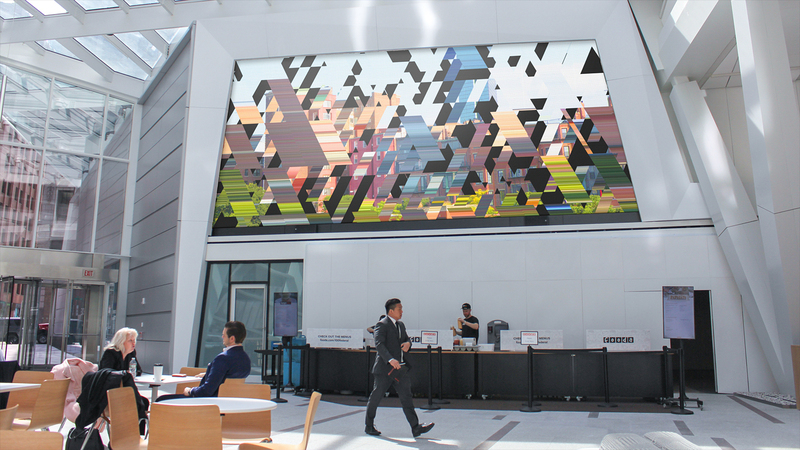 A generative artwork that weaves crowd-sourced photography of Boston in a public atrium. 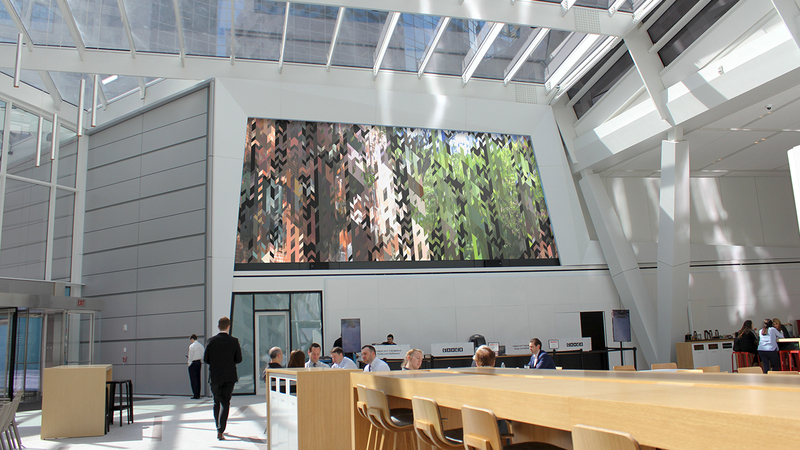 I worked with Sosolimited to create an iconic centerpiece for the newly redesigned lobby at 100 Federal Street. 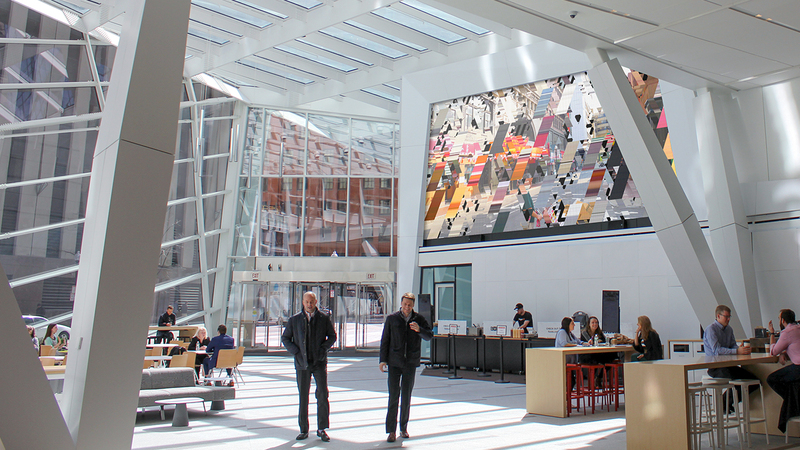 Local Fabric is a digital artwork that weaves crowd-sourced photography of Boston’s twenty-two neighborhoods into a vibrant tapestry of image and color. From the picturesque brownstones of Back Bay to the colorful row houses of Charlestown, Local Fabric celebrates the unique sights and people of Boston’s neighborhoods. The photos, collected from local photographers, become seeds for an evolving collection of geometric patterns. Each pattern preserves the sense of place and texture that makes Boston unique, revealing familiar locations with a fresh twist. The artwork perpetually evolves as new photos are added, providing a refreshing experience for everyone who passes through the building on a daily basis. 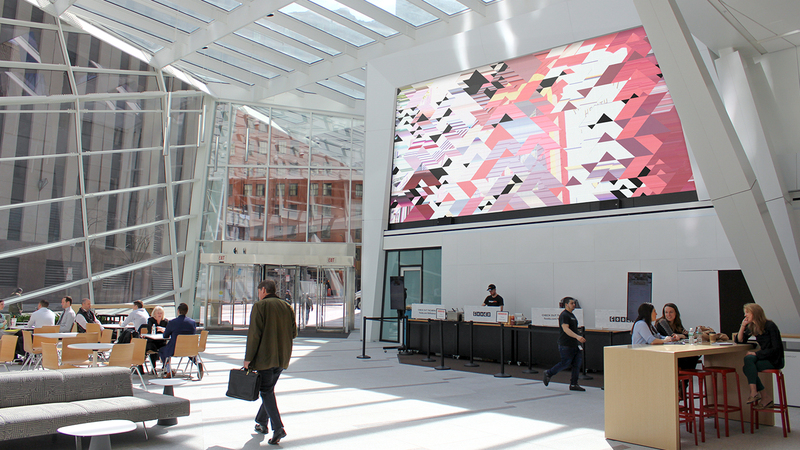 The angular architecture of the atrium and the unique shape of the screen inspired the geometric graphics of the artwork. 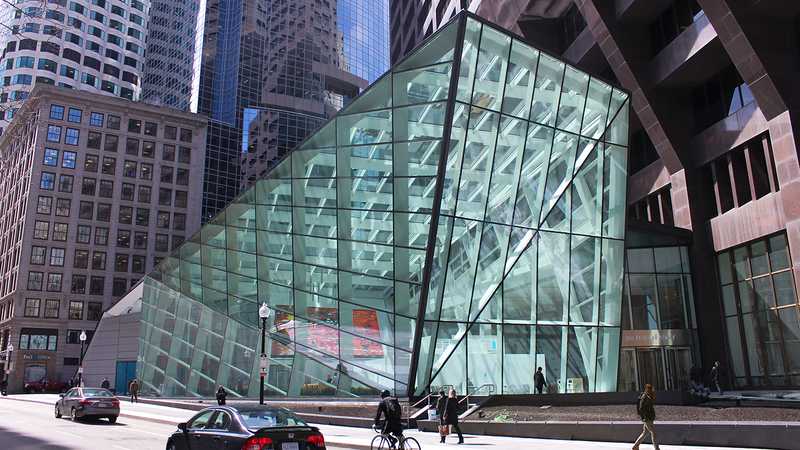 Housed in a stunning glass atrium designed by Perkins + Will, and visible from blocks away, Local Fabric infuses the downtown neighborhood with bold strokes of color and imagery. 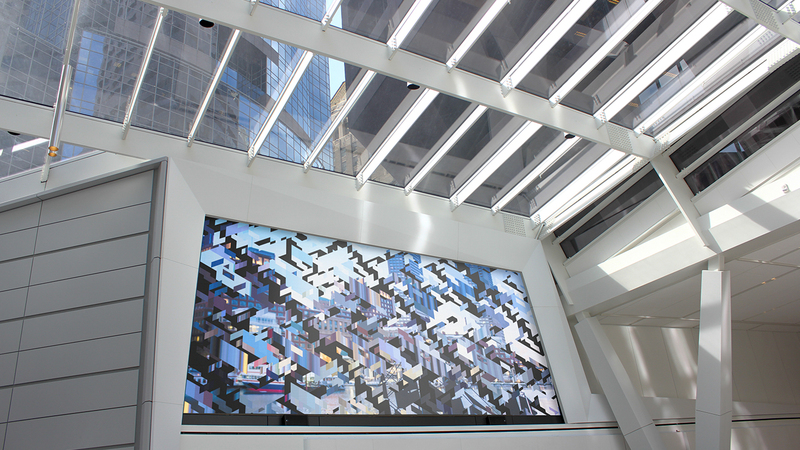 The artwork transforms the lobby at 100 Federal into a vibrant, contemporary space where tenants and residents of the neighborhood can work and socialize. It gives local residents a public stage for sharing their favorite places in the city. Local Fabric was featured in Prosthetic Knowledge, IdN Magazine, Lost at E Minor and Improper Bostonian.